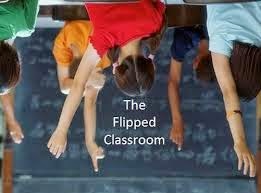 I love trying and I hardly ever give up so when I learnt about the concept of 'Flipped Classroom' I couldn't wait to learn more about it. For years, we've read about changing the current tools, methods and, even, the paradigm to fulfil today's need. Ideas flew but I believe that this concept has been able to transform -not only enhance- teaching and learning with technology. As part of a postgraduate course on ICT, I had to choose a topic to plan a class and, clearly, this was the one I chose. HERE it is my final work (it's in Spanish as that the language used throughout the course. However, the material selected and the exploitation of the activities are in English. Pay particular attention to point three: '3. Dinámica y secuencias de clases') Hope you like it!